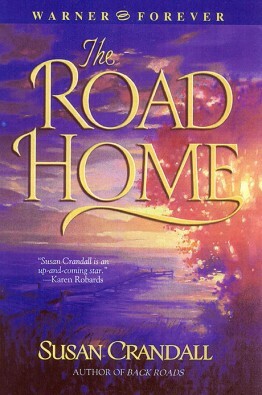 Return to Glens Crossing (home of Susan’s first book, critically praised BACK ROADS) for a story of heartbreak and forgiveness, of finding your way to the home of your heart. Lily Holt’s life is falling apart. Her teenage son is out of control. Her marriage is over and her ex-husband is in alcohol rehab. In desperation for stability in her son’s life, she returns to Glens Crossing, a town she left without a backward glance fourteen years ago. But Riley is quickly in trouble again. And Lily’s problems multiply ten-fold when Clay Winters, her first love and first heartbreak, is thrust back into her life. Will the painful secrets buried in the past lead Lily to her downfall or her salvation? Ah, the love triangle. Romantic that I am, I’ve always been fascinated with legends like King Arthur and Tristan and Isolde. Love triangles where a woman has to choose between two very different, yet good men; where she has to follow duty or her heart. The Road Home has its roots in the romance of these tales. This is probably the most difficult book I’ve written. Not because of the book itself, but because I had finally gotten my first book published. I knew my publisher liked it because it was a finished product when they first saw it. But what if I failed to impress them with my sophomore effort? That worry lingered in the back of my mind, shadowing every word I wrote. And perhaps it was that fear that pushed me to create a better story, because in the end, my editor loved it. This book was actually born with this title. My publisher and I had gone around and around looking for a title for Back Roads. I chose this one from their suggested titles for that book. The Road Home didn’t fit Back Roads, but was perfect for the next book.